Inoculating soil with bacteria and fungi has become more and more commonplace in cannabis cultivation and gardening throughout the world. Rhizobacteria form relationships with plant roots and help fix nitrogen from the atmosphere, while mycorrhizal fungi increase the uptake of phosphorus, water and more. However, the words in the language underpinning this dialogue between species and kingdoms of life are terpenes and other volatiles. 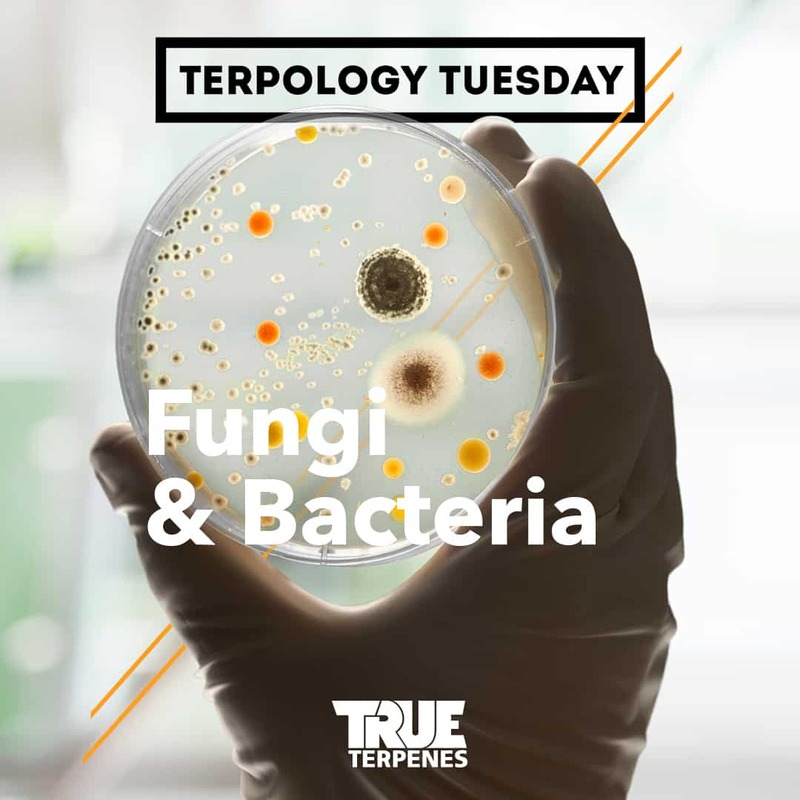 Recent studies have shown that the fungi Laccaria bicolor for example gives off the terpene thujopsene, which is also found in several plants. Thujopsene increases the formation of lateral roots in Poplar and Arabidopsis species. Beta-caryophyllene has also been shown to affect gene expression and other properties in fungi and plants when given off by bacteria. The fungi Fusarium culmorum emit β-phellandrene, α-phellandrene, α-terpinene, p-cymene, and limonene. This profile then in turn stimulates the production of the terpene sodorifen in the bacteria Serratia plymuthica which grows on the roots of plants. The fungi terpene profile also upregulates genes related to movement, and perhaps leaving the plant. Overall science is showing a complex interplay between bacteria, fungi, plants and terpenes. It’s interesting to see, or rather smell, how this is playing out when you’re in your garden or out in nature.